Our focus this trip was primarily to undertake practical building projects in Carrefour, at ﻿Love Community Home﻿. Dave and John led the team from Aus and Haiti with work on the renovations - which include the boys bedroom, girls bedroom, new toilet, renovated outdoor areas and more! Tash and Cheryl spent much time with the children on behalf of their sponsors, bring gifts, playing with them and update their progress and information. New mattresses and bedding, pillows and sheets were purchased and installed! Beautiful hand-made donated quilts were given to every child - and the bedrooms were painted and totally transformed! The whole team took all the children and staff to an unforgettable day out at the beach - many children had not been outside their earthquake-ravaged suburb! Cheryl took a trek up to Bouvier School for a quick visit with representatives from one of our supporting Sponsor-partners, TNA, to undertake planning meetings for our School Feeding and Farming Project AND our School Business Project! John, Cheryl and Tash held teacher-training and school-planning workshops down in Carrefour - with our wonderful Bouvier teachers. 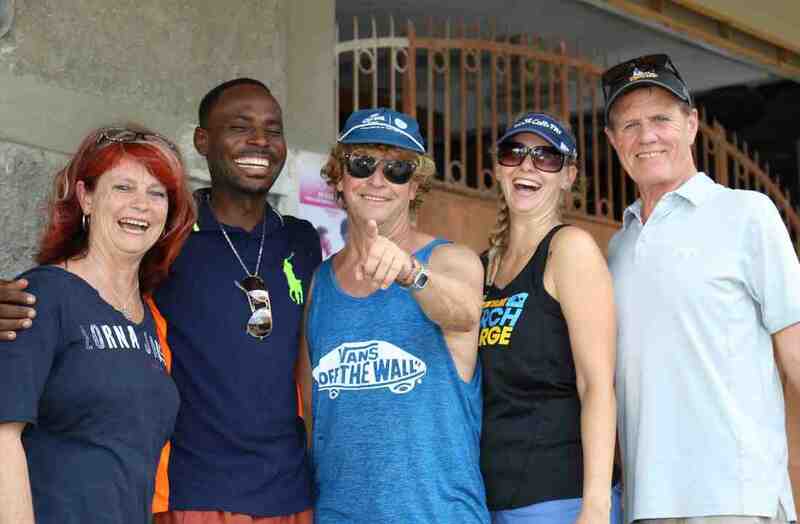 We were so excited to head over again to our friends and families on the ground in Haiti - who truly are the heros in their nation, with a passion for raising up the next generation! JOURNEY APPLICATION - COME WITH US! Flights: Everyone booked & paid for their own flights. Arrived 6th September and left on 16th. Our awesome 2016 September Team: Chez, Regg, Dave, Tash and John. What a privilege to have Dave and Adam from TNA join us to trek with Chez to Bouvier to see first-hand the work we are undertaking with their funds to launch the School Farm and Feeding Program.